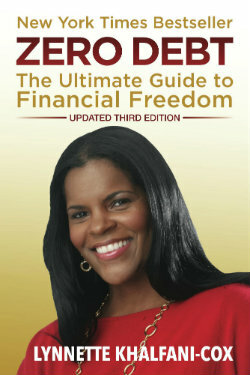 We all know that widespread credit card debt has millions of people living paycheck to paycheck. But another form of debt is taking a huge toll on individuals and families: student loans. As the cost of a college education continues to escalate dramatically, more and more college students – and their parents – are taking out loans to cover tuition, fees, and other expenses. The average undergraduate leaves school with roughly $20,000 in student loan debt, and graduate students end up with an additional $32,000 in debt. Upon graduation, we often buy new wardrobes to look the part at work. We take on the responsibilities of rent, utilities, or even a mortgage. Sometimes we relocate to another city. Once we add student loans and credit card debt to the list of bills to pay, financial security often seems unattainable. Unfortunately, the parents of many students aren’t doing much, having often mortgaged their homes and depleted their savings to help pay college expenses for their children. In Zero Debt for College Grads, noted personal finance expert Lynnette Khalfani provides a reassuring roadmap for stress-free living that will allow you to pay down your debts and save for your future, while cutting your costs and fattening your bank account. Organized to help you manage today’s bills wisely, pay off student loans, and build great credit, Zero Debt for College Grads is the only guide you’ll ever need to achieve your financial goals while starting life on your own. Lynnette Khalfani-Cox, “The Money Coach,” is a personal finance expert, television personality and the author of The Money Coach’s Guide to Your First Million, and the New York Times bestseller Zero Debt: The Ultimate Guide to Financial Freedom. A former Wall Street Journal reporter for CNBC, Lynnette personally paid off more than $100,000 in credit card bills and nearly $40,000 in student loans. She has been featured in The New York Times, USA Today, Redbook, and Essence, and has appeared on The Oprah Winfrey Show, Dr. Phil, The Tyra Banks Show, The Rachael Ray Show, and Tavis Smiley.